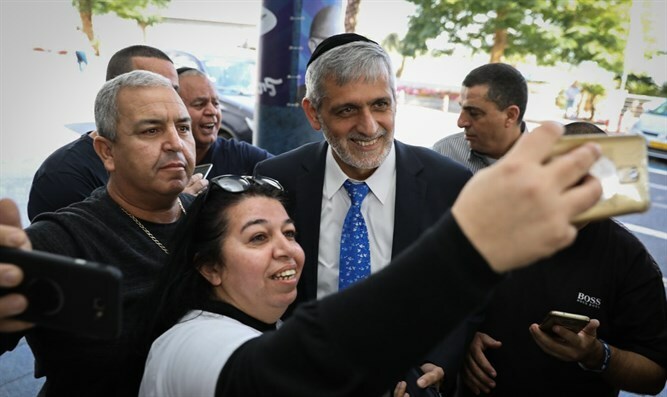 Yahad party Chairman former Interior Minister Eli Yishai does not regret the campaign announcement calling to vote for him "lest there be a father and father". "When they said haredim are like Hamas no one spoke up; suddenly when a slogan is raised - that isn't approved by me - I'm invited to every radio show," Yishai said at a conference of directors of religious Zionist institutions at the Dead Sea. "I'm in favor of Mother and Father and I don't apologize," Yishai said, "I don't apologize for the Torah or the Tradition. We want a healthy family unit with a future generation. People today are already ashamed to tell the truth." Yahad's Chairman called on the right-wing parties to unite: "My goal is to preserve unity on the Right. Unfortunately, we're dealing with ego and honor. We have to show responsibility. I bring with me a right-wing haredi public and this is a large public in the State of Israel. What we hold in common is greater than what divides us."